Animation Resources supporter, Kent Butterworth dropped by with a wonderful children’s book by the great illustrator Feodor Rojankovsky. 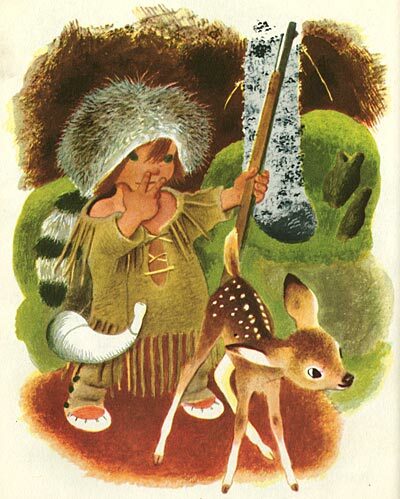 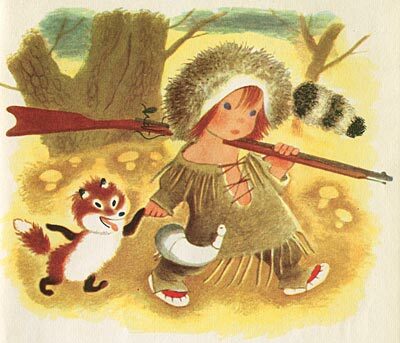 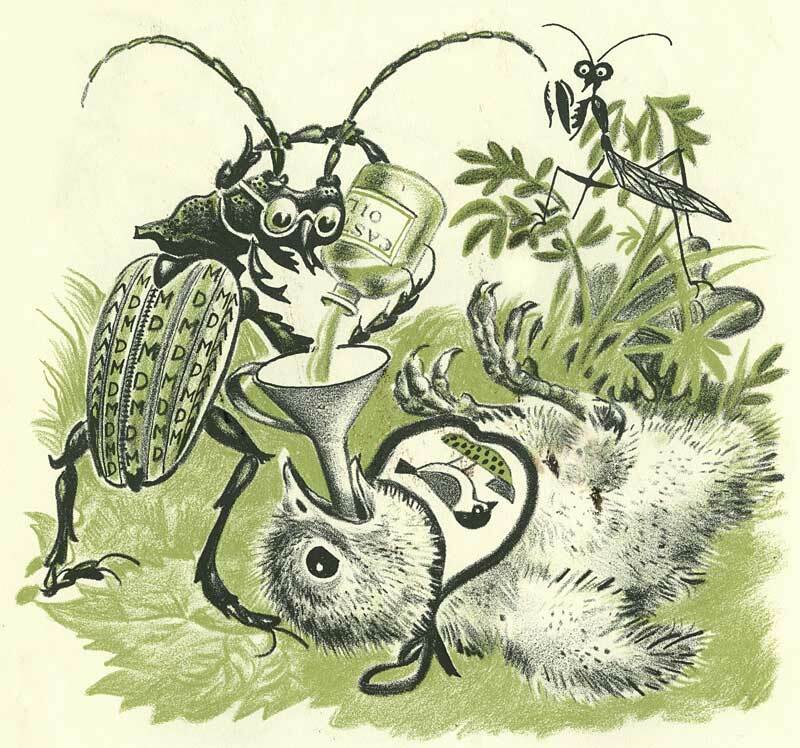 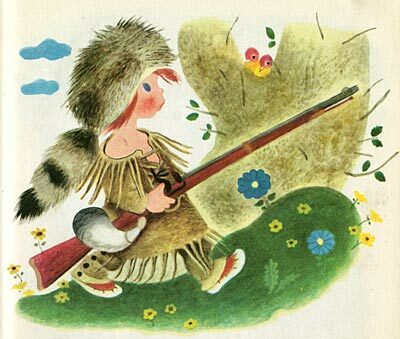 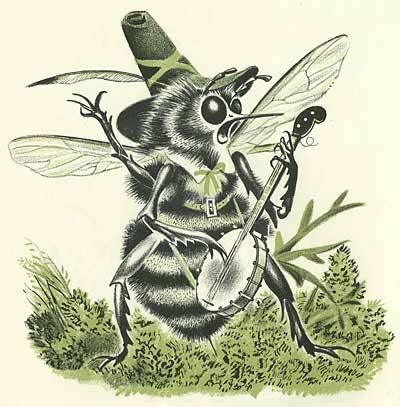 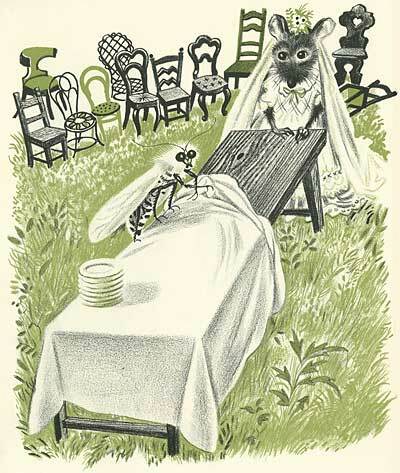 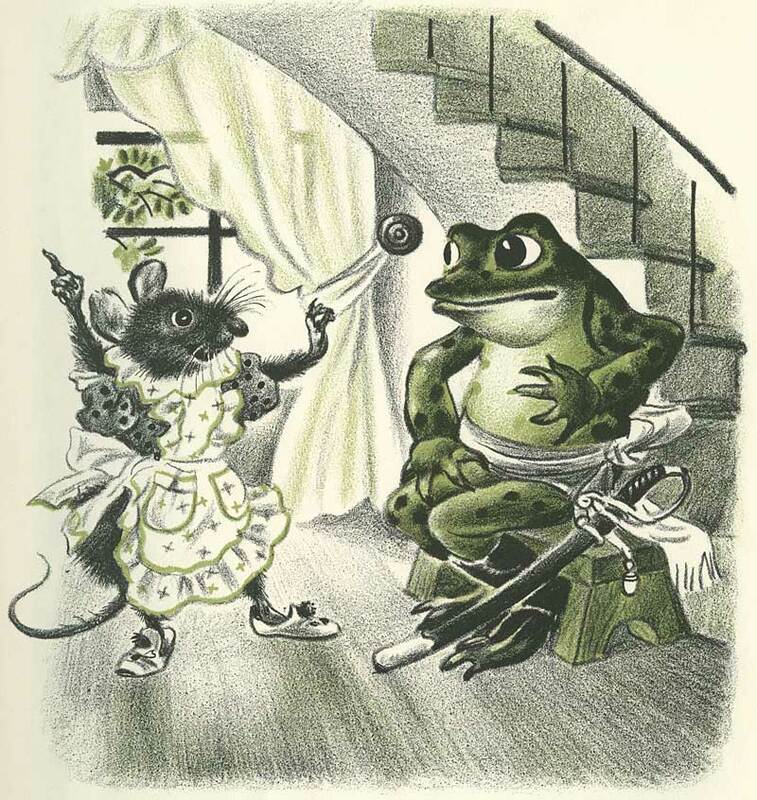 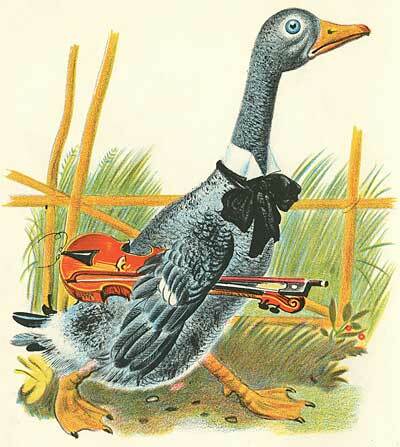 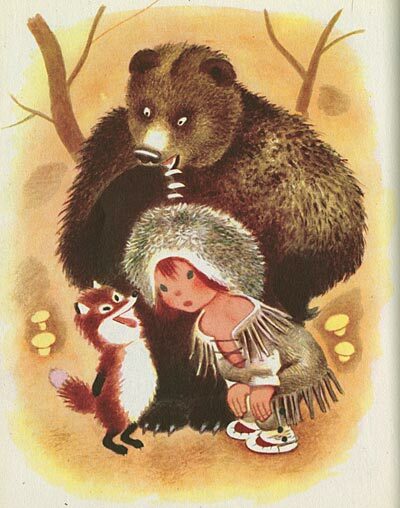 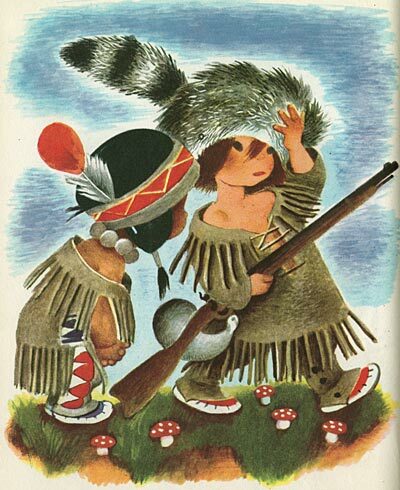 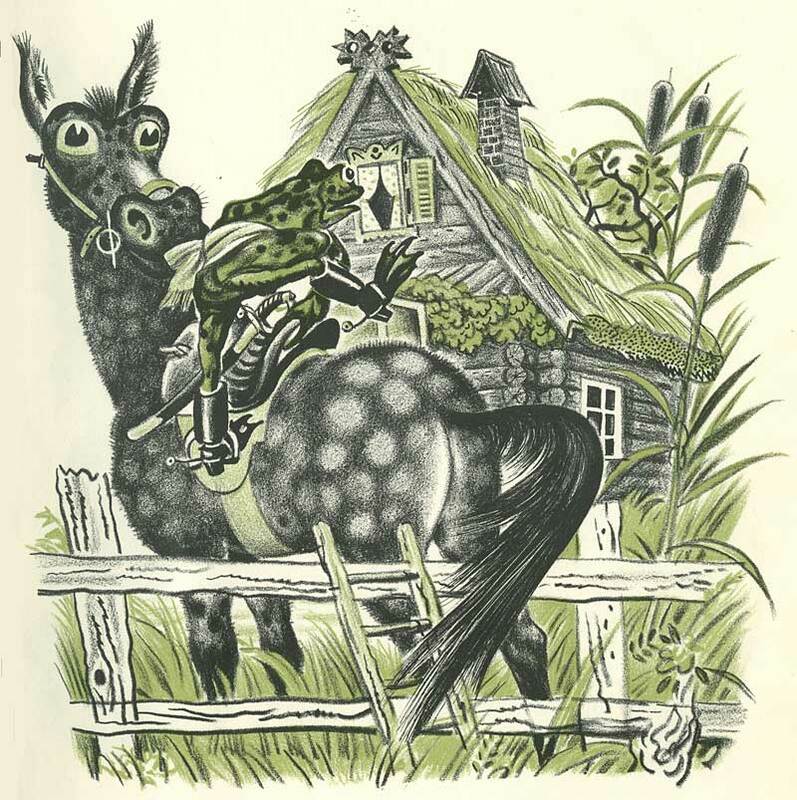 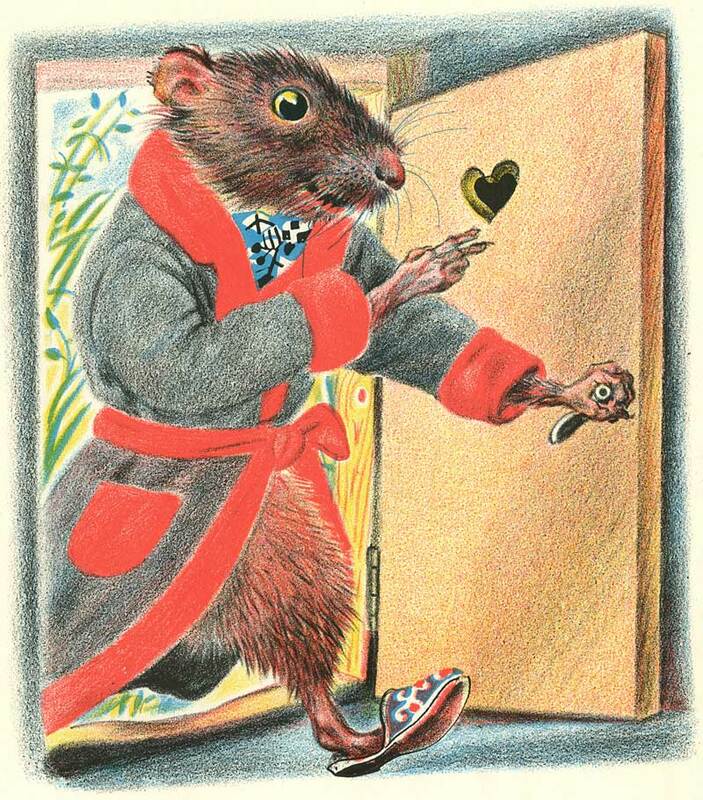 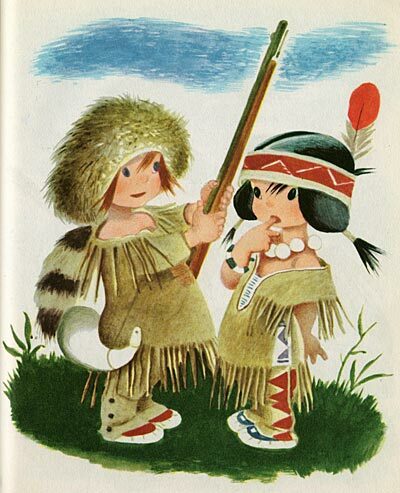 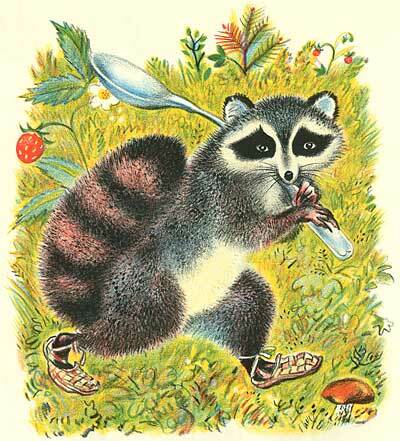 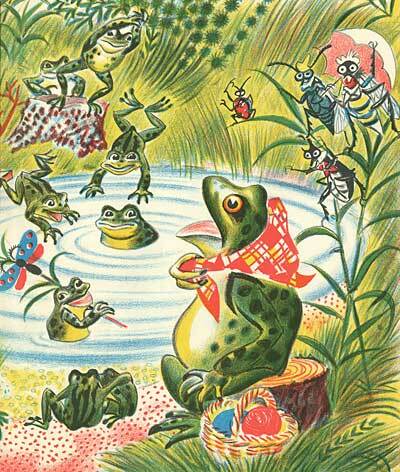 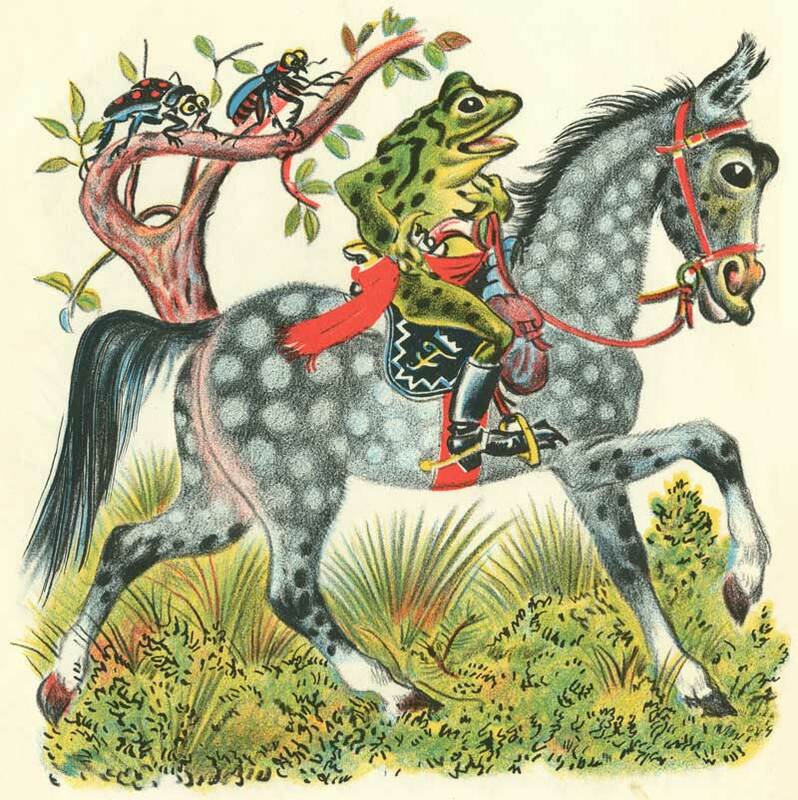 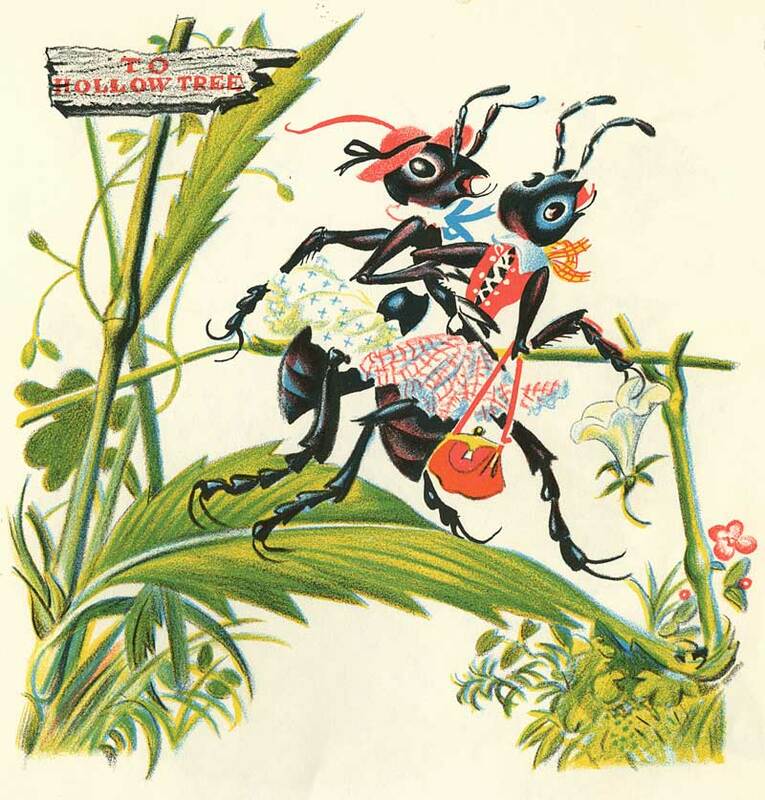 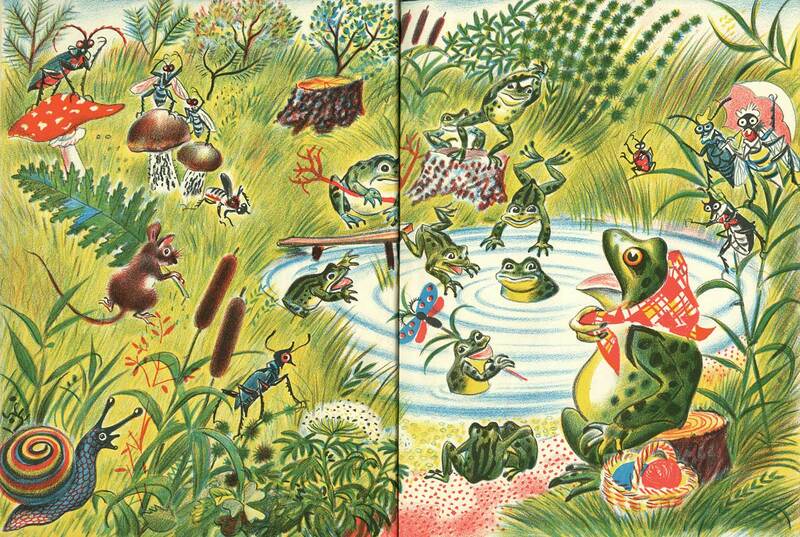 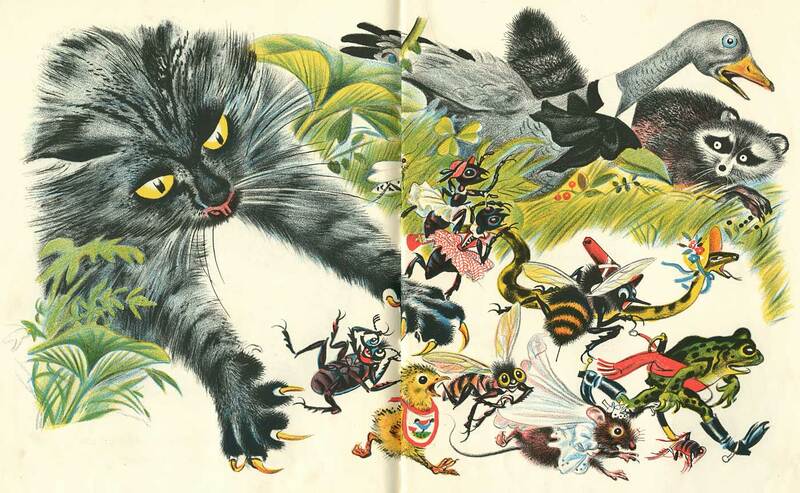 Titled, Frog Went A-Courtin’, this book won the Caldicot Prize in 1955 for Best Children’s Picture Book of the year. 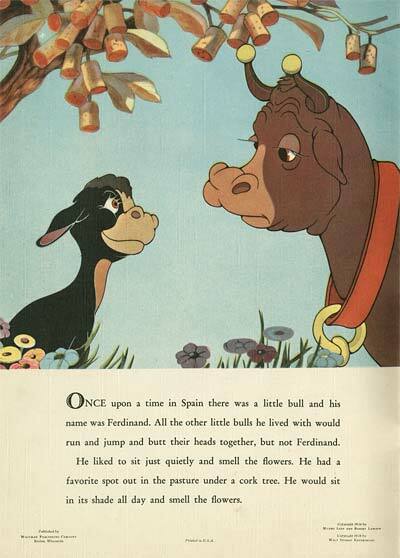 Two great events determined the course of my childhood. 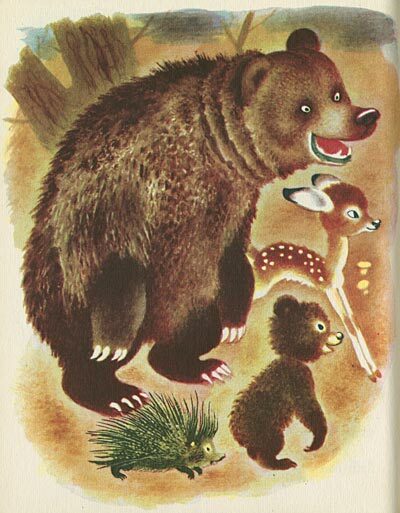 l was taken to the zoo and saw the most marvelous creatures on earth: bears, tigers, monkeys and reindeer, and, while my admiration was running high, l was given a set of color crayons. Naturally, I began immediately to depict the animals which captured my imagination. 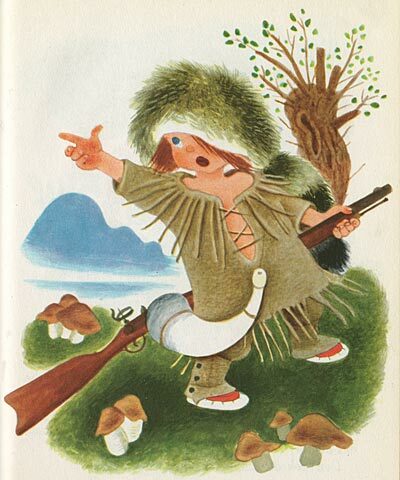 Also when my eider brothers, who were in schools in the capital, came home for vacation, I tried to copy their drawings and to imitate their paintings. 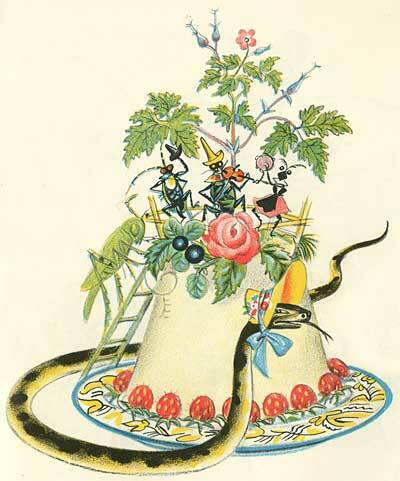 Later when l went to school in Reval Tallinn, an ancient town on the shores of the Baltic sea, my love for art was enhanced and strengthened by a passion for nature. 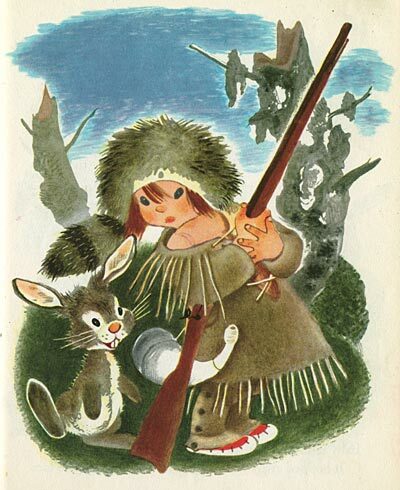 Tallinn was surrounded by forest. 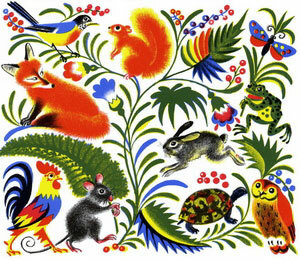 The sea presented wonderful opportunities for excursions and study of sea life. 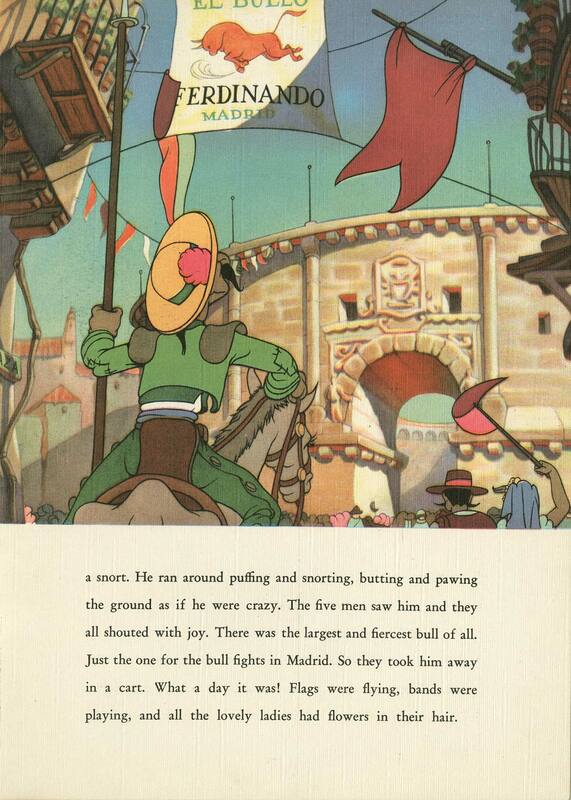 But there were also steamers, sailboats, flags, and all the excitement of a port. 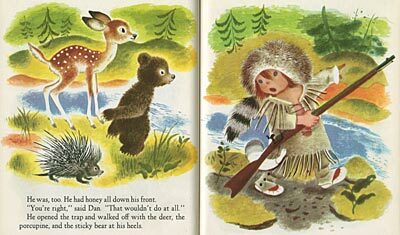 This was no less exciting than playing Red Indians or reading James Fenimore Cooper, the beloved author of all Russian children before, during, and after the Revolution. >Make sure to click on these to see them large. 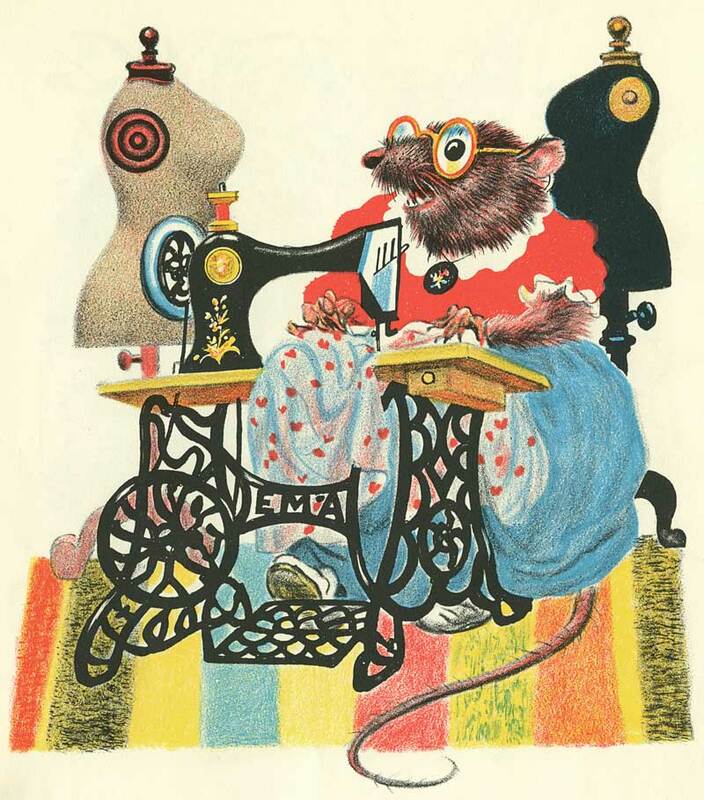 Rojankovsky was a master of texture, and the smaller size images don’t show that as well. If you like this book, you’re in luck… it’s still in print. You can find it at Amazon. 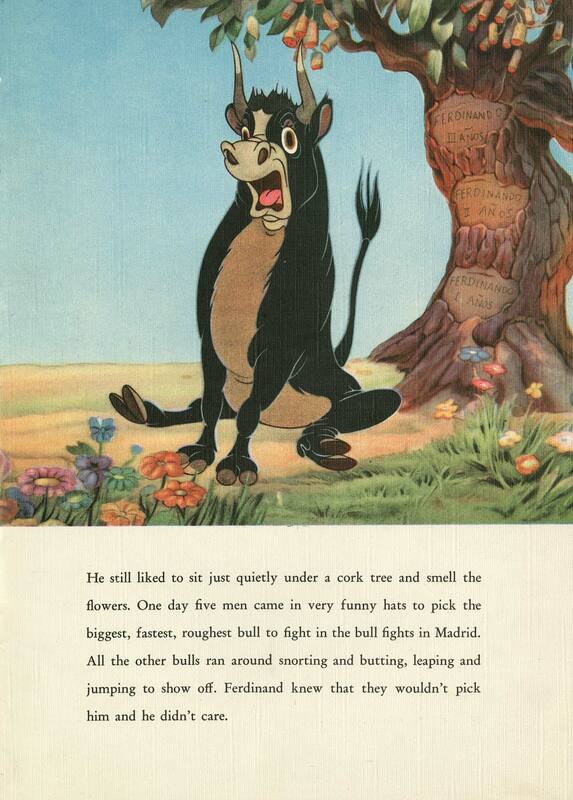 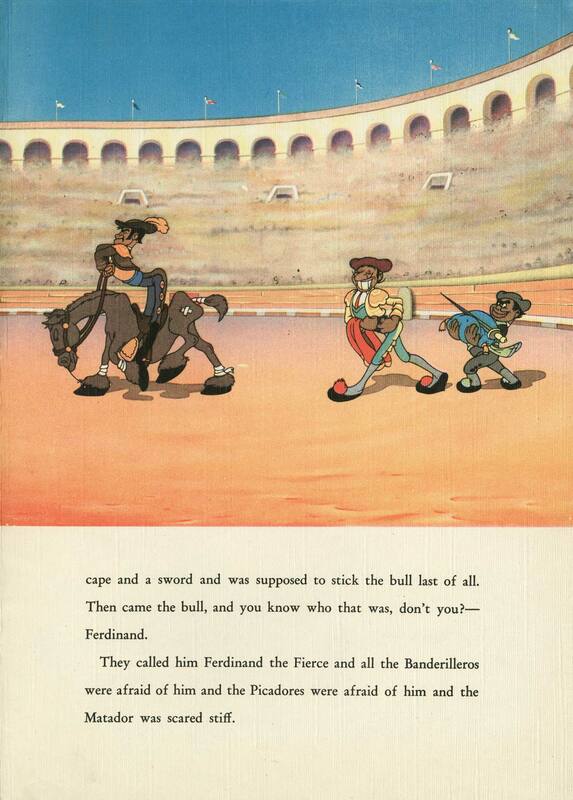 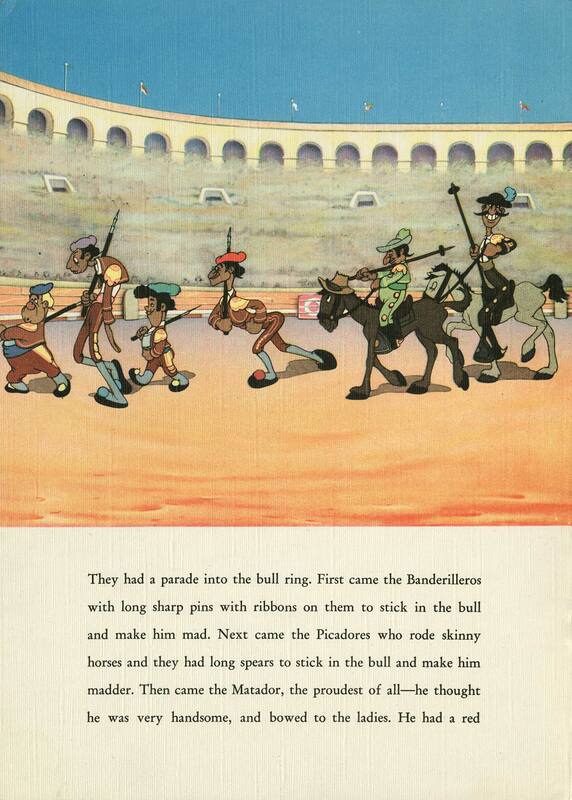 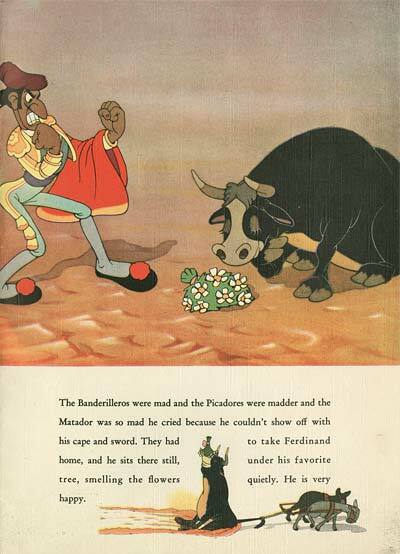 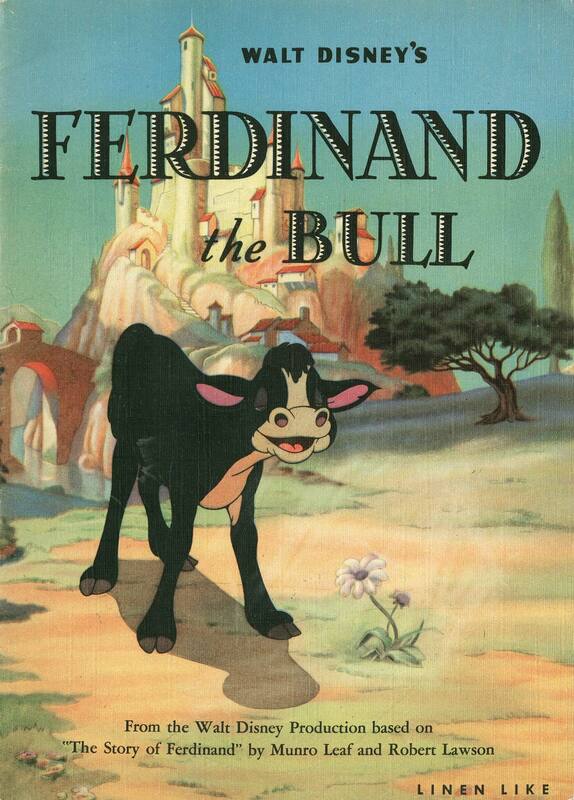 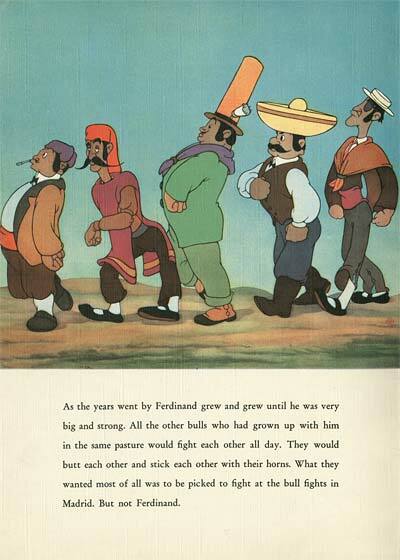 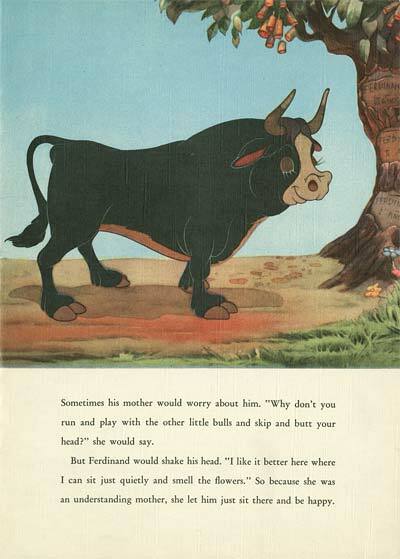 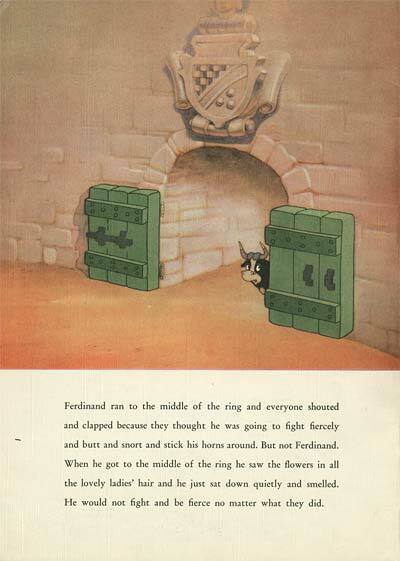 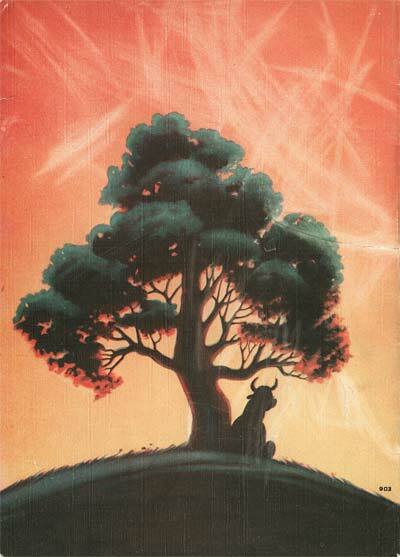 I am catching up on my scanning duties here at Animation Resources, and today we digitized this 1938 storybook based on the Oscar winning Disney short subject, Ferdinand the Bull. 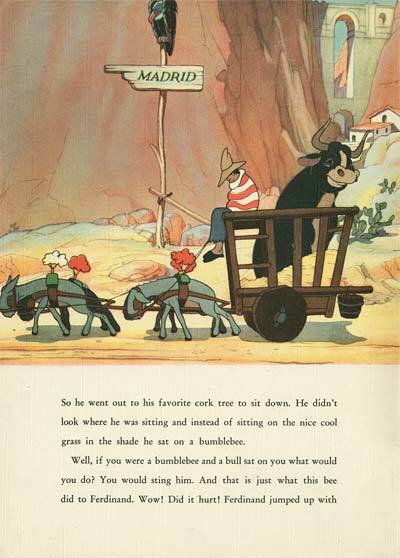 This oversized book is very close to the look of the actual cartoon, and I wonder if perhaps Claude Coates might have been the one who painted it. 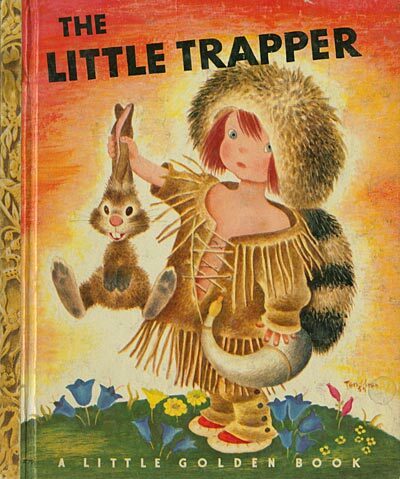 Looks like some little fingers have gotten to that cover! Thanks to Archive Supporter, Jennifer Roth for sharing this with us.